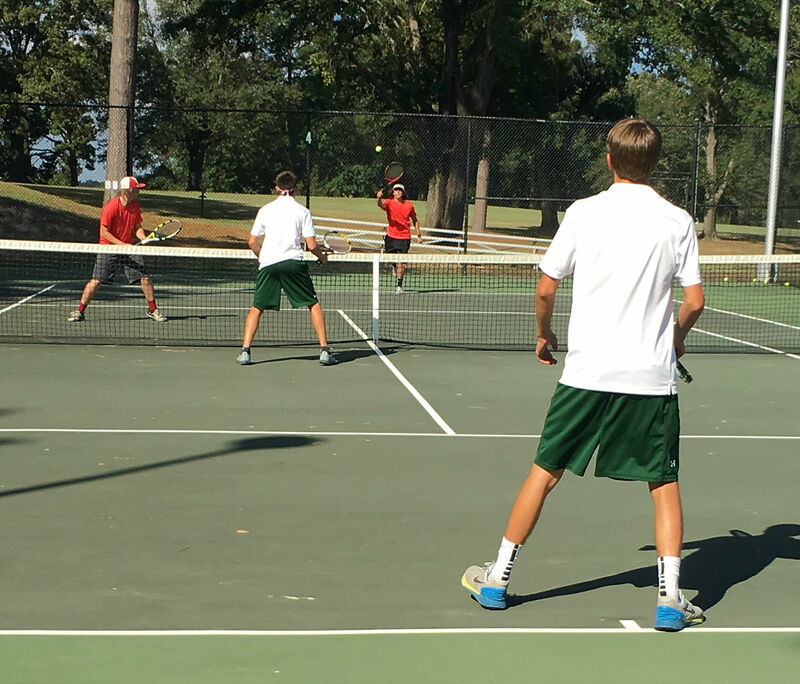 West Side’s district doubles champions Randon Carlton and Robbie Schmidt beat Murfreesboro’s Dalton Cherry and Mason Alexander in a heated second round boys doubles tennis match to advance to the semifinals of the Class 1A/2A State Tennis Tournament. They will play number one ranked Parker's Chapel tomorrow. Carlton/Schmidt won their opening round match against Griffin Hogue and Clayton Lenderman of Crowley’s Ridge, 6-2, 6-2. West Side’s Alissa Allen and Kamren Johnson, in their first year of competitive tennis, advanced from district play to the state match but were defeated earlier today by Camilley Wagner and Kate Hodgson of Northwest Arkansas Classical. Carlton/Schmidt will play around 9 a.m. tomorrow at El Dorado.